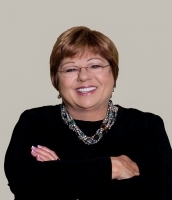 Rosemary Coates is the Executive Director of the Reshoring Institute, a 501c3 Non-Profit in collaboration with five US universities (www.ReshoringInstitute.com). She is an Amazon.com best-selling author with five supply chain books including: “The Reshoring Guidebook,” “42 Rules for Sourcing and Manufacturing in China,” and “Legal Blacksmith – How to Avoid and Defend Supply Chain Disputes.” Rosemary earned an MBA from University of San Diego and a BS in Business Logistics from Arizona State University. She has been a management consultant for 25 years, helping more than 80 global supply chain clients. She serves on the Board of Directors of the University of San Diego Supply Chain Management Institute and teaches Global Supply Chain Strategy at UC Berkeley. She is passionate about bringing manufacturing back to America.